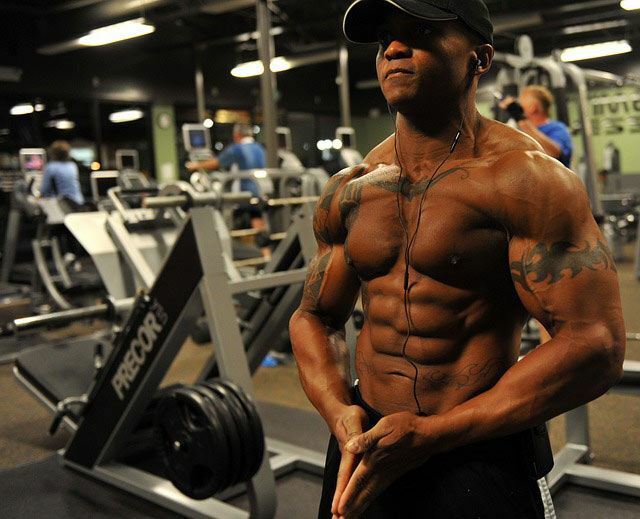 The sole purpose of our tips that will make your abs pop is as following – we’re here so that you have insight about the myths, the controversies, and the actual facts about this particular branch of bodybuilding. A nice, buff set of abs is one of the synonyms for a fit person, a bodybuilder, or, simply put, a healthy person. It’s no surprise that people value this group of muscles above others, but they’re also pretty hard to attain and maintain. Now, we’re going to talk about some of the most effective tips that will make your abs pop out in no time, but we’re also going to speak about some of the most common mistakes during abs exercises, general tips on how to improve your diet, and such. There are certain factors that will greatly affect your ab-building performance. For instance, did you know that the entire process is conditioned by your genes? Also, did you know that a well-balanced diet means more than a harsh training session? Have you ever heard about the benefits of a good nights’ sleep? These are just some of the questions we aim to answer. Since there’s absolutely no way to alter your gene pool, you just might as well use your condition to your benefit. Some people are lucky, and they can get their abs pumped quite easily, and some are not. Those people who aren’t can always focus on the other aspects in order to maximize their efficiency. The first question that you need to answer that concerns your lifestyle is “am I getting enough sleep?”. Most people are aware that the muscle tissue regenerates during our sleep, so if you’re a night-bird after a harsh day of training, you won’t be seeing results. You might’ve heard the phrase “wake up fresh”, and that’s exactly what ab pumping is about. If the quality of your sleep is high, you will wake up fresher and eager for what’s ahead of you. You will tireless frequently, and you’ll have more overall stamina, making extra reps a breeze. Pro Tip for Night Owls – If you’re really having a hard time falling asleep, you could try to tire yourself even more. Fatigue often leads to drowsiness and sleepiness, and if that doesn’t work, try eating a lighter meal for dinner. For the worst-case scenario – you could always try the sleeping pills, or natural remedies that could help cure insomnia. Your body requires a certain dosage of protein, carbs, and fat. A regular well-balanced diet might be healthy, but you’re going to need more than that if you wish to make your abs pop. Certain foods contain higher dosages of protein than others, but they may lack the carbs. All in all, it’s up to you to find the best combination of healthy, fit, and effective – everyone has a different metabolism. Pro Tip for your diet – Since this matter is entirely personal, you should consider paying a visit to a professional nutritionist. 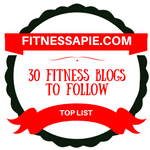 These people are highly skilled fitness experts who can really help you out in finding out what foods are best for you and your abs. There are various exercises that can get you the abs you need, but there are also some things you need to consider. Are you doing them correctly? How frequently do you pause? Are the reps high enough? Of course, it’s imperative that you don’t overheat, but you should always try your best to breach the borders of your resolve. Pro Tip for exercise types – There will be exercises that you will absolutely hate, but you will still need to them. One of the most hated types are the squats. Even though they do wonders for your legs, squats will give you a significant boost to your posture, and they’ll also improve your abs. Try finding the best in those things you like the least. If you think that a few sit-ups here and there and a few crunches every once in a while will get you where you want to be, you’re sadly mistaken. Popping your abs is a long process that will test your stamina, strength, and resolve, and this can only be done if you’re consistent about it.sit-ups here and there and a few crunches every once in a while will get you where you want to be, you’re sadly mistaken. Popping your abs is a long process that will test your stamina, strength, and resolve, and this can only be done if you’re consistent about it. Pro Tip regarding Consistency – Motivation is the key here. If you’re motivated enough to exercise as often as possible, you’ll get the abs you deserve at some point. Write down your personal reminders that will help you remember why are you struggling, why are you sweating, and so on. Eating plenty of meals daily will benefit you greatly in various ways. 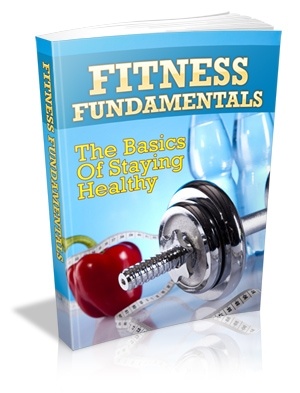 First of all, you’ll burn the fat away more efficiently, thus you’ll control the manner in which you gain/lose weight. By losing weight, your abs will be more visible, which is one of the reasons why people want to buff them up in the first place. Secondly, a lot of meals will help you greatly with your glycogen storage. This little ingredient is very important, as it helps your muscles regenerate, and you will definitely avoid muscle loss during rigorous training. One of the best ways to eat plenty of meals is to simply break them in smaller dosages. This will help you avoid gaining unnecessary weight, and you’ll simply feel well-fed at all times. Before we jump to calculations, let’s discuss the general questions regarding your daily protein intake. Just why exactly is it so important? Protein is one of the key ingredients in boosting your metabolism – in other words, an adequate dose of protein per meal will be translated into pure muscle while the excess fat will simply be burnt. There are various foods that are rich in protein, such as chicken, beef, cottage cheese, egg whites, and more. Spice it up with some tuna, and you’ll get enough protein to pump your abs in no time. Of course, this sort of diet regime can be quite harsh for people who have a weaker metabolic rate. In fact, you might experience stomach cramps and sudden urges that will make you dash for the toilet, so you might as well take it easy on yourself. Make sure that you start off small – begin by adding protein-rich foods to your diet, and slowly work your way towards making it a full-fledged protein-packed regime. If you’ve already tried balancing your diet with protein-rich foods and it didn’t work out for you, you could always try the easier method. You should be warned, though – this method is more expensive. Gainers and boosters are usually powdered mixtures of various ingredients with protein as the leading reagent. You could use these powders to sprinkle your meals, but you could also make smoothies, shakes, and similar by simply adding water or milk. One of the best ways to do this is by simply making a shake whenever you need it – you could take it to the gym, when you’re having a run, even if you’re just having a powerwalk. The carbohydrates are your friends. Carbs are there so that your mind, body, and brain operate on a normal level, so it’s safe to say that they keep you operational. You shouldn’t go overboard, though – it’s as if carbs have a mind of their own, and you can either shock them or pamper them. By shocking your carb level, you’ll put your body off-balance for a day (or two). Now, how will this help you? Your metabolic rate will be very happy about it, if you did it correctly. You should be warned, though, whenever you shake up your carb intake, you will feel drowsy and lethargic. Think of it as a necessary evil. Carb uptake and protein conversion rate are mainly governed by water, and that’s one of the main reasons why you need to be hydrated at all times. As you might’ve already known, you get energy from carbs and protein, and much of it will get lost during the process if your body lacks water. Amino acids are also important, but they simply can’t reach your muscle tissue if the adequate level of water isn’t present in your body. One of the most important things you should remember is thirst. Whenever you feel thirsty, it’s too late. Thirst is a signal that your body already feels the symptoms of dehydration, so make sure to drink before you feel it. Don’t think that results will be clearly visible if you favor only several types of exercises. Abs are a large group of muscles, and it takes versatility in your exercises to activate them all. Sprint, do crunches, lift the medicine ball from the seated position – there are literally over a hundred of abs training exercises for you to experiment with. If you don’t feel too creative, just search around the Internet – many people have written down their regimes for others to enjoy. Some will work out for you, some may not, but it’s really important that you are consistent about spicing up your training. Most people are bent on doing their repetitions until the end, even if they feel they can’t do it. Now, even though this might be very good for your motivation and resolve, your muscles won’t feel the same way. Whenever you exert them to the point when they actually burn and hurt, you risk the cannibalization of your muscles. It’s always better to do more repetitions of easier exercises, but it’s also important to sweat and burn. Now, you’ll find the golden middle just above your pain tolerance bar. We’ve already mentioned how the quality of your sleep affects your overall health and your abs, but we didn’t stress enough just how much rest you need. Your muscles are building when you rest, so it’s equally important to train hard, and to rest afterward. A nice nap after a shower is ideal, but you might need a lot more if you’ve just gone through a serious abs-crunching day. Drink up your proteins, eat lightly, and remember that you need as much rest as you can if you want a set of healthy abs. By doing small warm-up exercises, you’ll break the sweat through your body, priming it for a hard-core abs session. Not to mention that you risk injury if you don’t properly shake your limbs before you actually put them to action. Essentially, stretching makes your limbs (muscles, precisely) more flexible. Now, even though it might seem that stretching your abs is hard to imagine, it’s quite on the contrary. Basically, you’ll be stretching your limbs, but by doing so, you’ll also pull your abdominal muscles. As with the warm-up tip, it’s only important that you don’t skip out on stretching. You can do it in under 10 minutes, or you could spend an hour – it’s your call. Just be mindful, the more you stretch, the more flexible your muscles will be. You’d be amazed at the efficiency of Yoga & Pilates – they work like a charm when abs are in question. 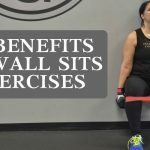 These exercises are mainly there to improve your focus and posture, but there are so many training regimes and exercises that you’re bound to stumble upon some beneficial types sooner or later. Yoga (and Pilates, of course) are not reserved for women alone – men all over the globe perform Yoga, and it’s not something that you should be ashamed of. 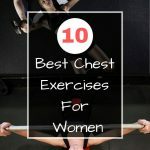 Even though these exercises might not appear masculine or hard-core, they’re not a breeze either. Yoga exercises will help you gain balance, focus, and they’ll improve your posture – you’ll need these three to properly spice up your abs. It’s very important that you know where you’re standing – nobody expects that you’ll become a bodybuilder in a day, so you shouldn’t exert yourself too much at the beginning. 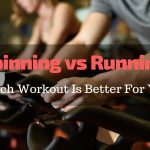 However, as time passes, your muscles will become accustomed to the pressure you put on them, and it’s recommended that you increase weights, run larger distances, and so on. You’ll soon notice that those things that were a problem for you at the beginning are now a breeze. Know that these are just the first signs of your progress. Keep it up. As you might’ve already known, there are several groups of abdominal muscles – upper, midsection, and lower. Each of these areas can be trained with various exercises, but it’s crucial that you don’t neglect one over the other. Remember – having a six-pack will be impossible if you don’t do different types of ab exercises. Doing exercises every single day won’t yield positive results. In fact, that type of training can even be dangerous. For instance, you’ll lose the benefits of resting, which are crucial for your muscles, especially abs. There’s a very special reason why we’ve included this tip in a special column – no matter how hard you try, you just won’t see your abdominal muscles if you have a high level of body fat. The fat in your body is piling up against the walls of your abs, making them look barely visible, so it’s only natural that you need to reduce it as soon as possible. When you perform crunches, leg-ups or sit-ups, you don’t burn the body fat – you develop your abs underneath it. You should be careful, though – reducing any level of vitamins or molecules in your system will leave you in a state of mild shock, to say the least. Reducing the level of body fat should be done systematically – nice and easy. Truth be told, there’s not a foolproof way to make your abs pop – people react differently to various diet regimes, exercise regimes, and every person has a different gene pool. There are also factors you can, or can’t change, but it’s important that you are consistent and resolved to get your abs buffed.